CBD oil is in the news of late - but what is this mystery substance? Does it work? Is it illegal? Is it time for you to give it a try? Answers to all these questions and more await. This CBD oil FAQ guide is the third and final installment of our three-part series on CBD. Before diving in, feel free to check out the first part of the series, where we cover the latest research on CBD oil, as well as our buying guide to CBD oil. In order to give you the information you need about CBD oil, we searched high and low for the most-asked questions about the product. We looked at Google search data, delved into queries on Quora, and culled Reddit threads and Facebook groups. We thoroughly researched the answers to the most-asked questions with help from industry experts, grouping similar questions together to help you find out everything you need to know about CBD oil. CBD oil or cannabidiol oil is a substance derived from the hemp or cannabis plant containing high amounts of the cannabinoid cannabidiol. 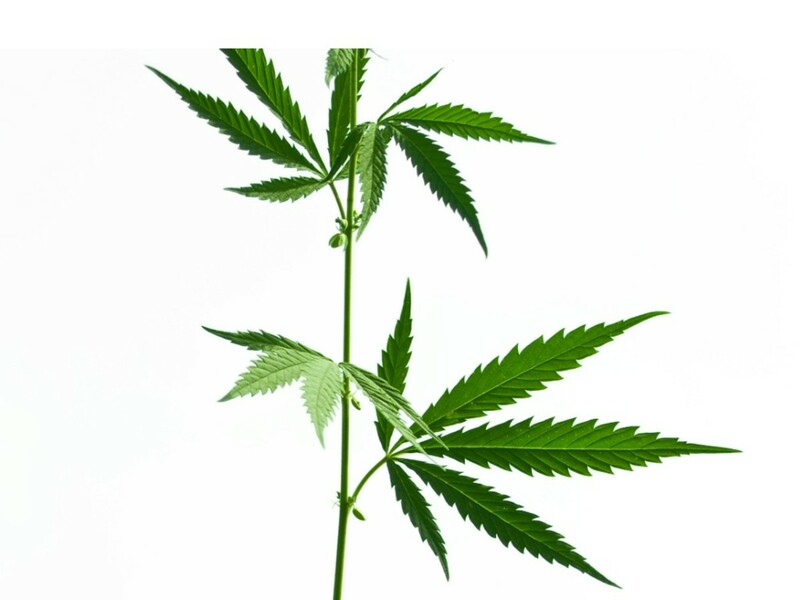 Most CBD oil comes from industrial hemp rather than psychoactive marijuana strains; while the two plants are related, industrial hemp does not contain nearly as much psychoactive tetrahydrocannabiol, another cannabinoid better known as THC. In fact, according to the 2014 Farm Bill, industrial hemp cannot contain more than .3 percent THC on a dry weight basis – a nearly negligible amount. In order to extract CBD oil from the cannabis plant, producers need to isolate the CBD from the THC to ensure that the oil will not be psychoactive. To answer this, we need to take a step back to address the endocannabinoid system, a system within the body whose receptors (CB1 and CB2) have an enormous impact on our health and well-being. "CB1 receptors in the brain are associated with emotions, mood, appetite, coordination, movement, and pain," explains Stormy Simon, the former president of Overstock.com who recently left the corporate world to become an advocate for cannabis. "CB2 receptors are found in the immune system and throughout tissues of the spleen and tonsils." The endocannabinoid system is a relatively new discovery. In fact, Simon notes, it was actually discovered and named after the cannabinoids in the cannabis plant. Seeing as cannabinoids are the compounds that activate this system, many have posited that cannabinoids like THC or CBD could help improve endocannabinoid function. 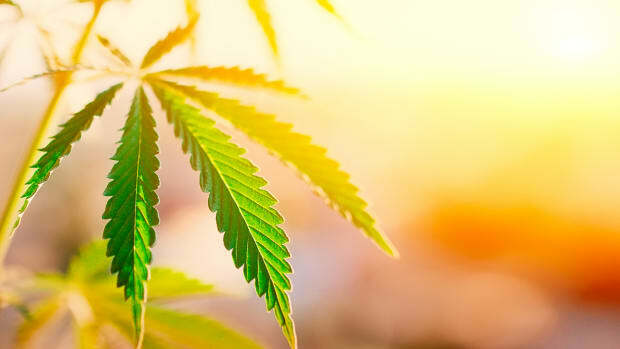 While CBD oil&apos;s benefits are still being tested, some studies connect CBD oil to reducing the symptoms of epilepsy, neuropathic and multiple sclerosis-related pain, and cancer. Many people also claim that CBD helps with anxiety. For more information on where the research currently stands on CBD oil, be sure to check out part one of this series, where we distill current science on CBD. How do I take CBD and at what dosage? Before adding CBD oil to your regimen, as with any supplement, be sure to check with your doctor to make sure that it&apos;s a good choice for you. This is especially true if you are taking certain anti-seizure medications. CBD oil can be consumed in a myriad of ways: tinctures, oil vaping, capsules, sublinguals, or even topicals. When taking CBD, always follow the instructions on the package of the product you have purchased. Can you get high from CBD oil? No. THC is the psychoactive cannabinoid that makes you high; CBD does not have any psychoactive properties. While many CBD oils, particularly full-spectrum products, contain trace amounts of THC, it is not enough to make you high. If you are at a risk for random drug tests, for example through your job, you may wish to choose a CBD oil that is entirely devoid of THC. 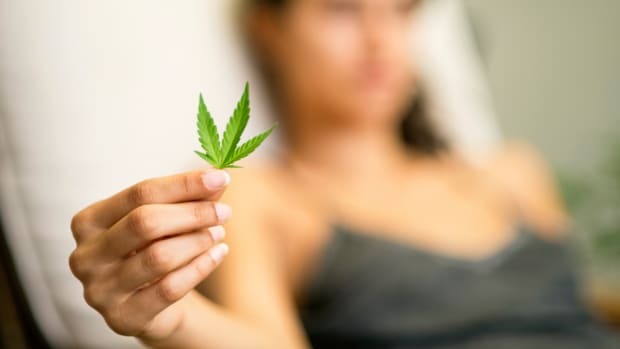 Are there side effects from taking CBD oil? It&apos;s important to note that the studies featured in this review mostly used higher doses of CBD oil than are generally available for over-the-counter use. The study authors also noted that more studies researching CBD side effects after "real chronic administration" would be necessary for a more conclusive safety profile. Where can good CBD oil be made? 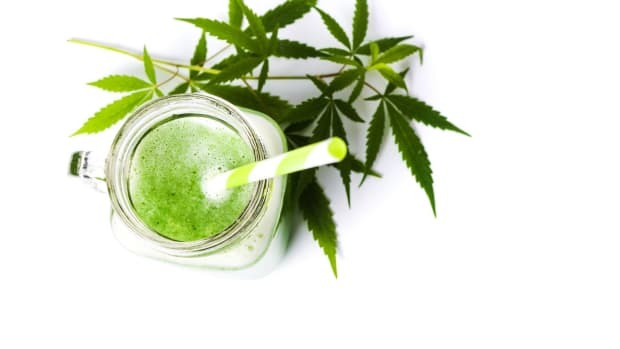 Production of CBD oil is not the same all over the world – or even all over the country – due to regulations and legislative hurdles with regards to the industrial hemp that is needed to produce full-spectrum CBD oil. Industrial hemp is legal throughout the European Union, and organic varieties are fairly plentiful. It&apos;s for this reason that many of our experts recommended seeking out a European CBD oil source, until very recently when legislation in the United States made it possible to certify CBD oil organic. Today, CBD oil sourced from Europe, especially Denmark and Germany, which have strict regulatory standards, is some of the best on the marketplace. In Colorado, where the growth of both industrial hemp and cannabis is legal, you can find some of the best certified organic CBD, and while technically it is illegal companies to sell this product across state lines, some startups are taking advantage of loopholes and selling it online. What is the difference in isolate CBD oil and whole plant/full spectrum CBD oil? "Full spectrum" or "whole plant" CBD oil will contain trace amounts of THC as well as other cannabinoids. 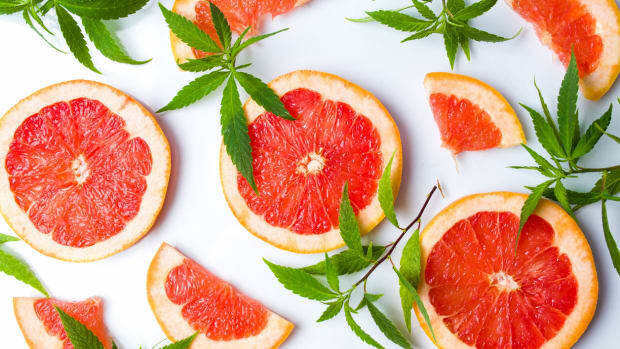 This contributes to the much-touted "entourage effect," which Dr. Joseph Nathan, Director of the International Drug Information Center, notes allows users to reap the benefits of not only the hundreds of cannabinoids but also the flavonoids and terpines present in the plant. Isolate CBD oils are made by isolating only the CBD present in the plant; THC and other cannabinoids will not be present in these oils. What is the difference between CBD oil and 100% hemp oil? 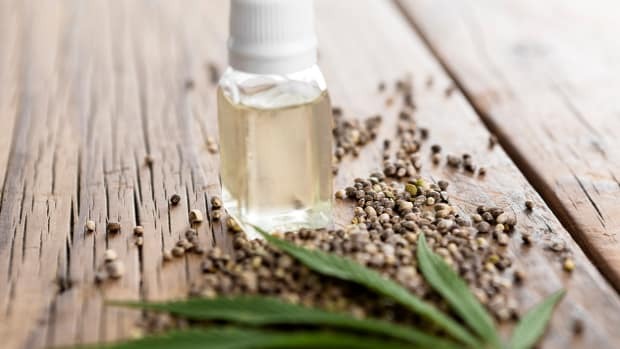 Hemp oil is the name given any oil derived from the hemp plant; CBD oil is an oil containing high amounts of CBD, made from either the hemp or the cannabis plant. While much CBD oil is also hemp oil, not all hemp oil is CBD oil; hemp oil made from the seeds of the hemp plant will not contain active CBD. What are some high CBD strains? Leafly has compiled data from labs across Washington State ranking some of the highest CBD strains out there, including Dancehall, ACDC, and Charlotte&apos;s Web. Clinical trials are still confirming the efficacy of CBD oil, but many individuals have noted that it has a positive effect on their health and well-being. Check out part one of this series, where we distill (and periodically update) the latest research on CBD oil. What is the effect of combining THC with CBD? Claims have surfaced pointing to the possibility that CBD is more effective when taken in a 1:1 ratio with THC; this contributes to rumors that CBD oil produced from industrial hemp is less effective than CBD oil produced from cannabis. Studies have shown that CBD and THC may well have a synergistic effect, for example in one study with cancer patients. The issue, however, lies in the legality and psychoactive properties of THC. 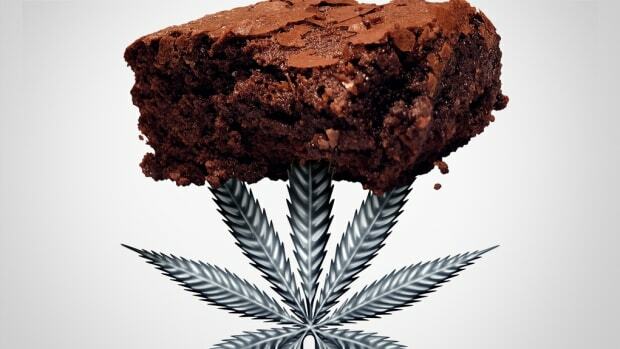 "The better question would be, ‘can I take THC with my CBD and take advantage of the synergy, or do I have to forgo THC because I can’t be high right now?’" explains Steve Looi, Director of Origination at White Sheep Corp., a Toronto-based cannabis commercial operator and strategic investor with holdings in Canada and the US. "In the end it’s likely a case of take them together when you can and CBD alone when you have to." If you cannot take a 1:1 THC to CBD product, then you may actually be better off opting for a full-spectrum oil made from industrial hemp, which is naturally low in THC but boasts other cannabinoids and compounds. "Much of the data that we have on cannabinoids refers generally to cannabinoids as a general concept, as opposed to specifically CBD or THC," explains Dr. Nathan. 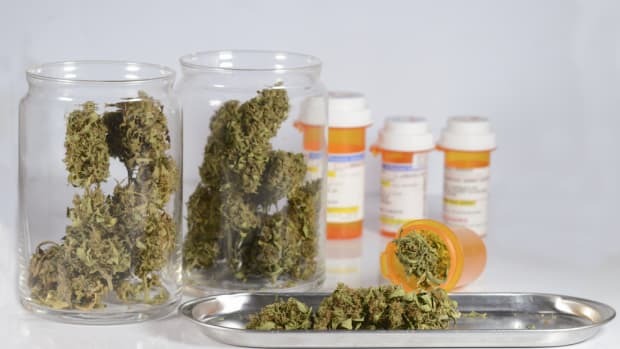 "Therefore, it&apos;s difficult to see, when you see a benefit of cannabis, whether it was the THC, the CBD, a combination of the THC and CBD… or a combination of THC plus CBD plus any of the other 100 or more cannabinoids that are available in the plant." "I tend to think that in most plants, nature evolves them to be the ideal expressions of that particular plant," says Chris Kilham, Medicine Hunter. "So I think that there&apos;s almost always a case to be made for using a whole plant." Yes! Most CBD oil is produced from industrial hemp, the same plant used to make hemp textiles and hemp seeds. This plant contains trace amounts of psychoactive THC – not enough to make you high and usually not even enough to make you fail a drug test. Will you fail a drug test if you take CBD? The trace amounts of THC in full-spectrum oils should not make you fail a drug test, but some trustworthy companies, such as PlentyPharma, provide solutions completely devoid of THC for those for whom random drug testing is a concern. Will CBD oil pass security at airports? Yes… but it might not pass customs! CBD oil is not yet legal in all countries; while some countries exist in a relative grey area, such as France, in some countries, including Australia and China, CBD oil is illegal and could cause you big problems (including fines or even jail time) if you bring it into the country. To see where CBD oil is legal and where it&apos;s not, check out this guide. Is CBD a Schedule 1 drug? Technically speaking, yes: extracts of all plants from the cannabis genus were made schedule 1 drugs in early 2017. That said, the 2014 Farm Bill allows the cultivation and sale of hemp containing less than .3 percent THC, which includes hemp oil made from industrial hemp. It&apos;s interesting to note that the FDA recently approved Epidiolex, a CBD-based epilepsy drug from GW Pharmaceuticals. This approval may have an effect on CBD&apos;s scheduling status. "An approval might even mean that the Drug Enforcement Agency (DEA) would have to reschedule the specific marijuana component in the drug, CBD, because it will have proven to have a tangible medical benefit," writes Fortune. Where can I buy the “best” CBD hemp oil products? You can buy CBD hemp oil products from a variety of retailers. Be sure to check out our buying guide for some of our favorite brands. How much do CBD oil products cost? CBD oil products range in price, but generally, it will cost around $50-100 per ounce. What should I look for when choosing a CBD oil? Which CBD products/companies I should avoid? Because CBD oil is not yet heavily regulated by the government, it&apos;s easy for companies to sell products that contain little to no CBD... or that contain nasty little extras you&apos;d rather avoid (like heavy metals or pesticides). To make sure that you&apos;re opting for only the best CBD oil, choose products made with organic hemp. Organic hemp often comes from Europe, though recent changes in regulations have made it legal to grow organic hemp in the United States as well. Also be sure you&apos;re opting for CBD oils extracted with CO2 rather than butane, and don&apos;t be afraid to ask for lab tests from the company if they are not already prominently displayed on the company website: any company producing its CBD oil properly will be happy to provide this information, which indicates not only how much CBD is present in a given oil but also the presence of any pesticides or heavy metals. Many companies will even do batch testing, so you can see the results from the exact batch of CBD oil you have purchased. Where can I find dispensaries that offer high CBD strains in my area? This guide to dispensaries will help you find great dispensaries in your area, but it&apos;s also of note that you won&apos;t need to get to a dispensary to get your hands on quality CBD oil. Be sure to check out our buying guide for oils that you can get through alternative retailers and even online. The views expressed in this article are intended to spark conversation and highlight alternative studies and is for information purposes only. We are not here to diagnose or treat any health or medical conditions, nor should this be relied upon as a substitute for professional medical advice, diagnosis or treatment, even if it features the advice of health experts, medical practitioners or physicians. When making any lifestyle or health changes, consult your primary care physician.